Do you love indulging in candy flavored treats. Well your search is over! 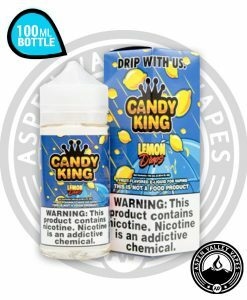 Candy King is one of the top brands in the vape juice industry for producing life like flavors for all of their E-liquid flavors. This is hands down an awesome brand for any user because they have something for everybody. 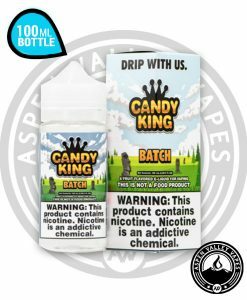 Candy King has spent the time to bring you realistic flavors that will have your mouth watering after every use. If you are unsure of a flavor from this vendor, let us be the first to suggest that Peachy Rings is going to be a killer flavor for you. This candy flavored e-liquid is so delicious, sugary, and sweet that you just simply can not go wrong. Any of the flavors you experience while indulging in this sugary treat, will leave you wanting more without a single doubt. If thats not really your style check out their Swedish flavor. 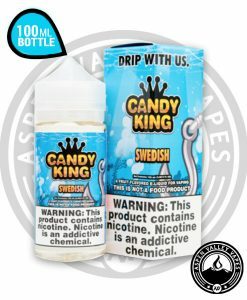 Candy King has taken the time to develop and perfect their representation of the popular 1950’s Swedish fish candy. This flavor is very simple, but also complex and distinct as there isn’t quite anything else out their that tastes like a Swedish fish. Flavors: Batch, Swedish, Peachy Rings, Sour Worms, Strawberry Watermelon Bubble Gum, Pink Squares, and Lemon Drop.